Ethics and morality are the branch of philosophy which deals with values of human conduct in the rightness or wrongness of certain actions. Unlike the traditional concept of Bureaucracy which anticipated it as a valueless concept, NPA (New Public Administration) movement in the sixties, treated it as a strong case for values, relevance, change and equity in the field of administration. 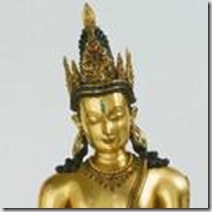 The concept of morality pertains to the principles of right and wrong human conduct. Moral qualities in human are their character traits such as honesty, integrity, etc. The concept of ethics is quite complex for the mankind. It is related to the standards of conduct acceptable to a group, a profession or members of an organisation. Since whole organisation or group is concerned, it creates problem for the individual to choose between the right and wrong and also between do’s and don’ts. The effective functioning of an organisation rests on its manpower and leadership quality. Thus, an employee or an individual associated with the organisation or a group establish the most important input in its administration. The manpower has to be converted into human resources using various systematic planning, adequate training and sufficient education. Using these methods, effective moral and ethics are inculcated among the members of the organisation. In the modern world, every government is dealing with certain challenges like globalisation, economic competition across national borders, social and political disturbances, technological changes, threats of terrorism, and a rapidly changing labour market. These challenges can only be met by the honest and hardworking people of the nation. It thus intensifies the importance of ethics and morality in the behaviour of Public Administrative System. The rise in the functions of the governments and the welfare state concept. The rising demands by the citizen for an open and accountable government. Rise in the Rights of the Citizens. Rising cases of corruption in public life. Rising expectations and resultant frustrations on the part of the citizens. According to the experts, while making decisions public, bureaucracy consistently faces two conflicting situations such as between serving the personal or group interest and serving public interest. 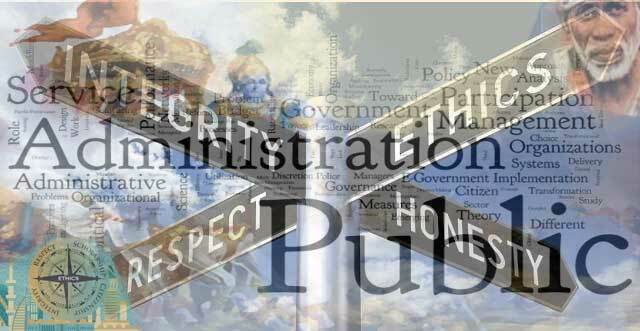 Therefore, in order to keep the behaviour of public officials consistent with public interest, the question of morality of the administrators becomes a principle concern in modern administrative process along with various institutional checks. Being the regulator of the administrative decisions and manipulating the powers by the power mongers has always been a risky question. With the enhancement in the usage of administrative powers in modern societies, the requirement of evolving ethical consciousness among the administrators has become dominant. Although there are various laws, rules and regulations to ensure impartiality, honesty and devotion among the civil service, yet the scope of misusing the administrative powers is vast enough which cannot be controlled by prescribed laws, procedures and methods. An administrator must be accountable for their own principles, to their own devotion and to their own senses of dignity and pride and to their own honest efforts in order to fully establish the idea of an ideal welfare state. Public services must develop ethical standards which help them in their best performance standards. These standards will have a lifelong influence on the society as a whole. With the growth of welfare state and the emergence of the concept of the Politics Administration dichotomy the question is always raised “Has the civil service been able to live up to the expectation of the people who it was appointed to serve?”. The civil servants are always expected to follow the constitutional guidelines and the redefined value system which they are expected to follow swiftly. The image of the public servants in a democratic country is determined by the moral and ethical values upheld by the office bearers. It is the perception of the people on the level of integrity in government and what is wrong and what is right in politics and administration, which determine their faith in a democratic system. The idea of selfishness: A public servant must take their decision deprived of any favour or bias. Behavioural integrity: A public servant should never be inclined towards any financial or any other obligations. The concept of rationality and objectivity: While making their choices whether in the matters of awarding reward or punishment, an office holder is liable to her/his decision on the basis of merit. Functional Accountability: A public office holder is responsible for her/his decisions and actions to the public and must submit herself/himself to whatever investigation is appropriate to her/his office. Honesty and openness: The public decisions are to be made in an open and honest manner. These are ethical or moral questions which must be addressed by the civil servants in ensuring public interest. Therefore, the spirit of good governance lies in ethics and morality, and it demises with the erosion of values, moral deviation, aberration and corrupt behaviour and actions. To ensure that our administrative system is working as per the desired set of standards the foremost step to be taken is to view critically the existing relationship between the policy maker and the policy implementer, i.e., the politician and the civil servant. In India, we had adopted the political system of our own choice but this is not true for the administrative system, our administrative system is a legacy of the past which we adopted to suit our own environmental settings. The civil service enjoys permanence of tenure and has the attributes of political neutrality, anonymity, impartiality and commitment to the government policies. The nexus determines the quality of the services rendered to the country. A healthy Politico-administration nexus can do wonders in the delivery of the public services and the opposite can prove to be a debacle for the growth of nation. Thus, the political masters must set an example themselves by its integrity, hard work, sincerity of purpose, austerity and accountability in public life. The Constitutional guidelines are the basic foundations of the democracy; the civil servants should be committed to the values and ideas imbibed in our constitution. If our administrative system needs to ensure that the ethical and moral values are adhered to in their fullest form it is desirable that the professional standards are fixed among the public servants. This will help in elevating the ethical standards to new heights. The effective implementation of the code of Civil Services Conduct is another necessary step towards making the actions of public authorities’ synchronized with the welfare concept. To preserve the ethical and moral standards of the service the administrators should do whatever they consider necessary for people’s welfare and avoid matters which are bad or undesirable, although beneficial to self or group interest. Focus on results not procedures. Fostering a culture of continuous improvement. Probity, political independence, leadership, excellence, dynamism, openness, productivity. Mutual respect between political leadership and civil service. Enable citizens to organize and express their needs and the public service to respond to them. Thus, we can say that the fundamental to ethics in administration in India must be revolving around the principle of dharma, principle of doing the right things, and the principle of justice. Failure on the part of the administrative machinery will result in the rising level of corruption in the system. The minimum requirement for ensuring that our law makers are able to promote a corruption-free government is that the law makers should not themselves be law breakers. The Vohra Committee Report had highlighted one negative aspect of our politics, namely, the criminalisation of politics. So if we want to start a process by which we will be able to achieve a corruption-free government, where law makers play a very effective role in achieving this objective, it is necessary that we should first take steps to ensure that law breakers and criminals do not become law makers(situational values). Apart from the overwhelming importance of the rule of law, equally important is the empowerment of the citizen. Perhaps the most important law governing modern societies is the Constitution (regime values). In the context of the review of the Constitution, which is being undertaken by the Venkatachaliah Committee, it can be suggested that the right to corruption-free should be made a fundamental right of every citizen. As India is suffering from this monster called corruption which is the result of the decline in the morals and the ethics, the need for strengthening the citizen becomes important. The rationale for corruption-free service as a new fundamental right is worth exploring at this stage. Simplification of rules and regulations so that the scope for corruption is reduced. After a comprehensive analysis of what constitutes moral and ethical aspects of the administrative process and what are the basic changes need to be brought in the mind-set of the of the personnel manning the administrative machinery, we can thus flawlessly enumerate that any administrative activity in order to prove its efficacy must comply with the ethical framework in accordance with the societal norms. The erosion of this ethical framework, can lead to valueless system and complete stagnation of the system. It thus becomes essential for any system to explore the possibilities of devising innovative ethical framework so as to have responsive administration, which is based on the foundation of rationalized institutional mechanisms which is sufficient to respond to the needs of the people. Not only this, the Moral and Ethical standards set the tone for fostering good governance. Thus in the specific context of the administration, it is expected from the administrative functionaries that they will rise above the tyranny of the three Ps- pay, prospect and promotions and inculcate a spirit of service, develop imaginative sympathy, impersonal loyalty and efficiency in action. The transformation of the petty minded, insensitive and callous bureaucrat to one endowed with efficiency and concern is possible through the adoption of a right ethical approach. Then only our societal benefit will come before our individual benefits.